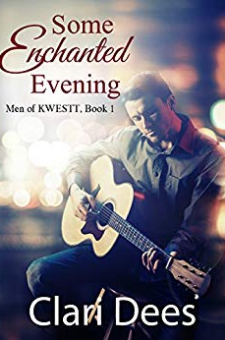 Kellan Campbell, principal singer with chart-topping musical group KWESTT, longs for roots and a family to call his own, but he’ll settle for a vacation from the fast-paced, demanding life of touring. Shedding his well-known stage persona to avoid recognition, he heads for a backwoods Missouri campground to rest and recuperate in the great outdoors. But his attempts at avoiding people are stymied by the campground’s energetic, quick-witted manager. He’d be annoyed if he wasn’t starting to look forward to her company and crazy sense of humor.JoyAnne loves her job as manager of the flourishing family campground. After being tossed upside down and shattered, her life is finally feeling safe, predictable, and secure. And she’s determined to stay right where she’s at, doing what she does best—ensuring guests enjoy their camping experience.The sassy, fascinating woman soon reignites Kellan’s desire for a home and family, and he tempts JoyAnne’s scarred heart to risk love again. But when mishap strikes and Kellan’s full identity is revealed as a result, JoyAnne pushes him away to protect what remains of her heart. Will she release her tightly-gripped control to God so that a future with Kellan is possible, or will the music that brought them together ultimately rip them apart?